We are your home for personalized attention. From top to bottom, we are dedicated to finding the right fit for your orthodontic treatment. Dr. Raymond Kim will take time and go to great lengths to explain his recommended treatment, and answer any questions you have about it. Dr. Kim will also personally see that you’re kept informed of how well your treatment is going. Likewise, our team is directly involved with your treatment process. From providing a comfortable waiting room to seeing that all your concerns are answered and processed in a timely manner, we aim to be quick to respond and provide you with professional care that is attentive to your every need. Our staff members are experts in all orthodontic matters and will provide you with the best oral healthcare available. From sport-specific mouthguards to nightguards that correct clenching to our braces, you can expect the best care. Dr. Kim is dedicated to providing the most up-to-date treatments available to his patients. To do this, he is involved with numerous professional organizations. He is a Diplomate of the American Board of Orthodontics and an active member of other local, state, and national orthodontic organizations. Our goal is to create a pleasant and friendly office environment that lets you know you are in good hands. At our practice, you are more than a patient; you are a valued member of the family at our practice. Our waiting room offers comfortable seating and a family-room like atmosphere. You are also welcome to a number of refreshments, reading materials, and our game room. Our friendly staff looks forward to your every visit and will welcome you by name. We will find a time that works for you. We understand just how difficult it can be to schedule anything without giving up something else. Our scheduling department will work with you to arrange your appointments so that the impact is as minimal as possible. To help this process, we offer a wide range of available times, including late afternoons, early evenings, and Saturdays. Dr. Kim understands that sometimes things come up that cannot wait. This is especially true when you are uncomfortable or in pain. 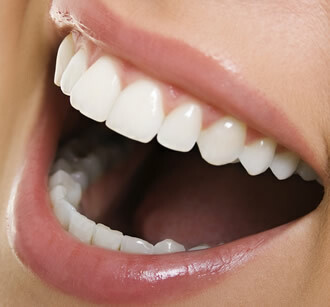 Pain in your mouth and jaw can be some of the worst you experience, and we are absolutely dedicated to relieving that. Dr. Kim has an emergency line, which you have access to as one of our patients. We are prepared to help with your oral health emergencies.